The Wrcibo Electronic Insect Killer represents one of the best options for home use. 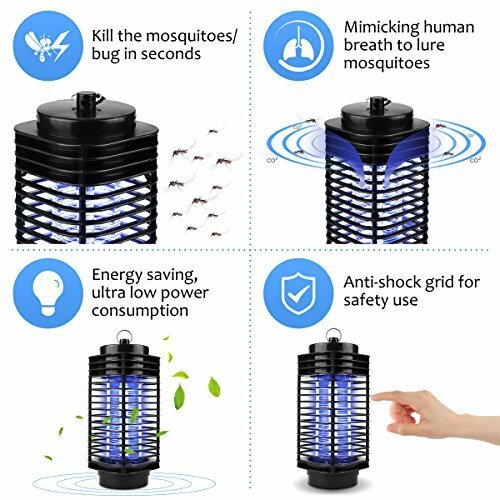 It will work to control bugs and insects which include mosquitoes. The great news is that it can cover significant areas which can include indoor spaces or rooms of up to 180 square feet. With a solid construction and a combination of technologies, the zapper will work for a large number of insects and it will plug into the wall ensuring your sleep quality. 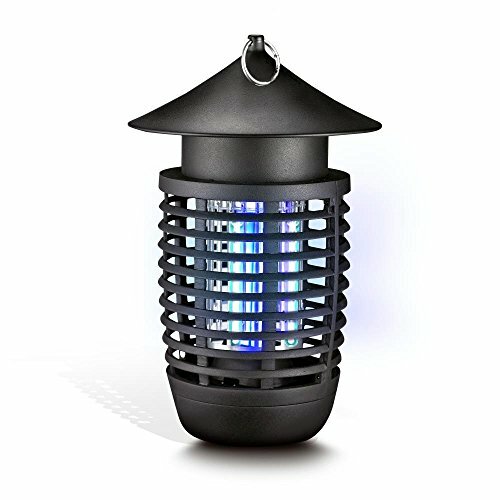 The zapper will work for a large number of users as it manages to kill most insects, bugs or mosquitoes without using any chemicals. The technologies which sit behind the zapper include the ultra-violet light which will work to attract the insects and the CO2 emissions which will work to attract mosquitos. As you may already know, mosquitoes tend to be more attracted to C02 and this is why a combination of these technologies will work to provide the best results. The performance of the zapper recommends it for most situations at home. With a strong capacitys it can cover areas of up to 180 square feet. This can thus represent a good option for most bedrooms and even for large spaces such as living rooms. The good news is that the device can also be hanged from the ceiling to offer an improved performance. This will work for a number of situations where other similar alternatives would struggle to find the optimum performance. And if you truly want the best performance, you would let the zapper work for at least three hours before stepping into the room not to disturb the CO2 attraction meant to lure mosquitoes. 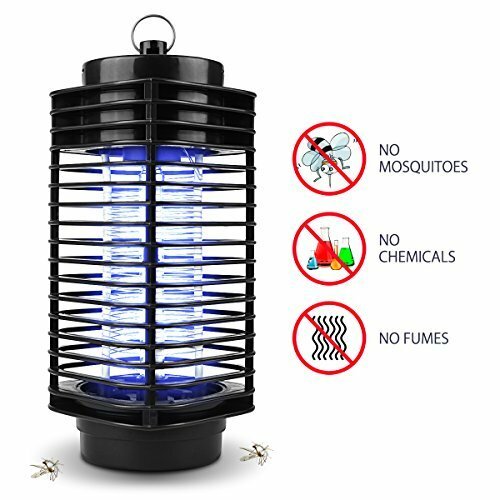 When it comes to the technologies which are employed by the zapper, most insects, bugs and mosquitoes will be eliminated since the device combines both UV lights and C02 for the ultimate performance. It can thus represent a solid performer even for the kids’ room. With so many alternatives on the market, having a silent performer which doesn’t use any chemicals is crucial when it comes to actually delivering a solid performance which is also safe for humans. The design of the zapper is made for larger spaces and a top performance. This comes with both benefits and drawbacks but its main purpose is to eliminate all insects. The zapper thus comes with a 360 orientation which will work to cover larger areas from all angles. This will also mean that the cleaning and maintenance might not be as straightforward as some users expect. This is why the device comes with an included cleaning brush which should improve the experience considerably. Even more, it will prove to be one of the best solutions when it comes to a higher mounting point such as a ceiling. This is where you would need to sacrifice some cleaning effort for the top performance. When it comes to comparing such a complex zapper you are really left with a few options which can also compare with the affordable price point. This is why the Wrcibo zapper can be considered among the best options for many types of users. 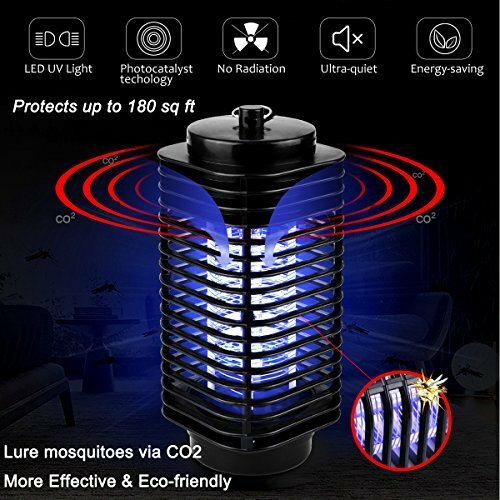 When compared to the SereneLife Electric Bug Zapper, you will really get a perspective on where it is situated in terms of performance and design. The SereneLife zapper comes with a more durable design which is made to resist fires and different weather conditions. This is where it can be one of the best solutions for those looking for maximum versatility for indoor and outdoor use. The SereneLife zapper will also prove to be a good purchase if you travel on away weekends often. 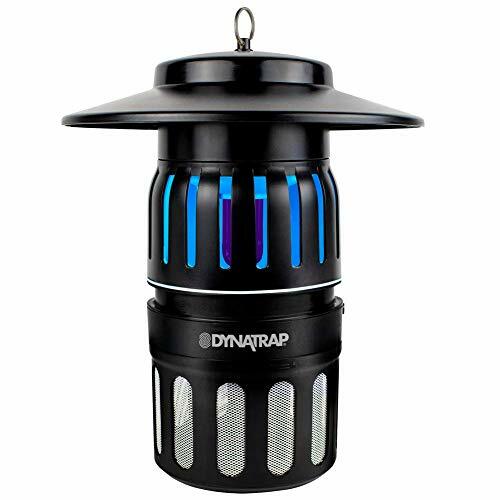 Going to a cabin over the weekend can thus benefit from the added comfort of no insects and the zapper will work best in these situations. So which solution should you choose? The Wricbo zapper will thus work for a large number of situations which are limited to indoor use. This is where it will show its top performance. Thus, if you want a solution for both indoor and outdoor use, the SereneLife can be recommended. It can also work for trips away from home. The Wricbo is the recommended option if you only plan to use a zapper at home as it can cover even larger homes with ease. The Wrcibo Electronic Insect Killer can be one of the recommended options when it comes to finding a healthy and powerful solution for your home. With added safety measures which are meant to prevent accidents, you can fully benefit from the high performance of the zapper. Its main strength lies in the combination of technologies which include the CO2 and UV lights. These technologies will prove to deliver solid results when it comes to attracting all types of insects which include mosquitoes. It has been shown that mosquitoes are rather attracted to CO2 emissions which are similar to the human breath than to the UV lights. This is why combining both technologies will offer a zapper which is up to date with the requirements of the modern users. The zapper will prove to be a good purchase for the user who is switching from the classic spray solution which can come with added chemicals that can be inhaled. If you have children, then you know the importance of ensuring a healthy environment in your home. The zapper will prove to be a great purchase both in terms of performance and in terms of its low impact design. With an ultra-silent performance, it will zap insects with no disturbing sounds ensuring you will be able to sleep comfortably through the night. The zapper is powerful and this is why the manufacturer also includes a cleaning brush in the pack. This will ensure that you will be able to clean the zapper every day maintaining its top performance levels.